Portugal has one of the best coastlines in the world. It is not easy to do a selection. 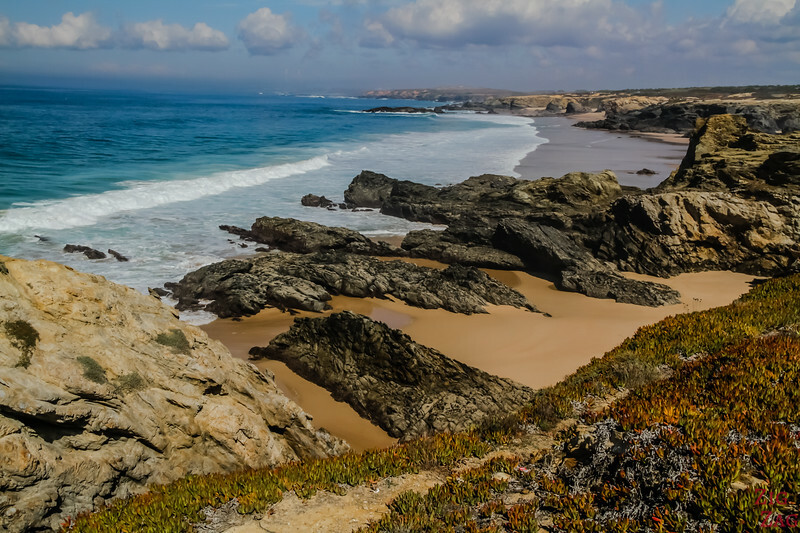 Let's start with a short answer with my absolute top 3 best beaches in Portugal. You can find them in the complete list with large photos a little bit further in the article. 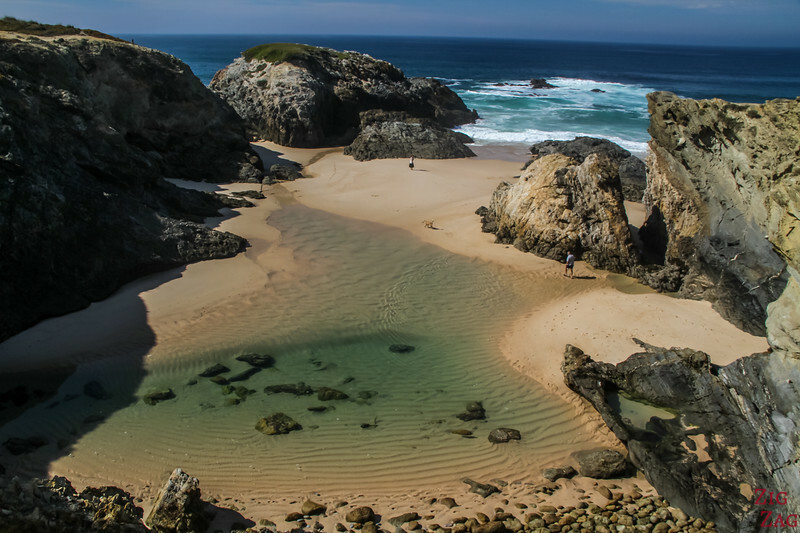 Let's start with a short video that gives you a snapshot of the Best Beaches in Portugal. Careful, this might ignite wanderlust! 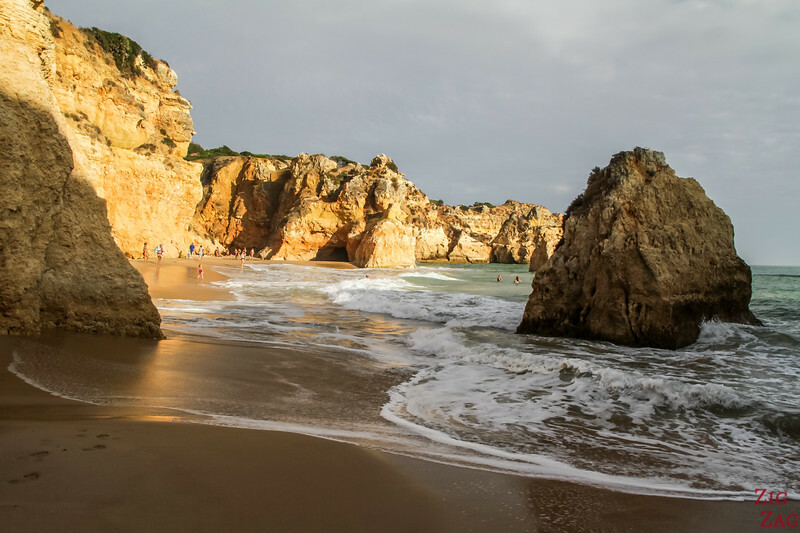 Most are West Algarve Beaches ​as it is a stunning coast, but some are from other regions - this list does not include the River beaches. The first 4 are, to my opinion, the absolute best Portugal Beaches, the others could be moved around in my rankings. My absolute favorite Portugal beach is Praia da Falesia Beach. It is an 7km long stretch of sand with high cliffs of various colors, from red to white. Also, there is a great viewpoint to admire the whole Falesia Beach, where this photo was taken. What do you think? 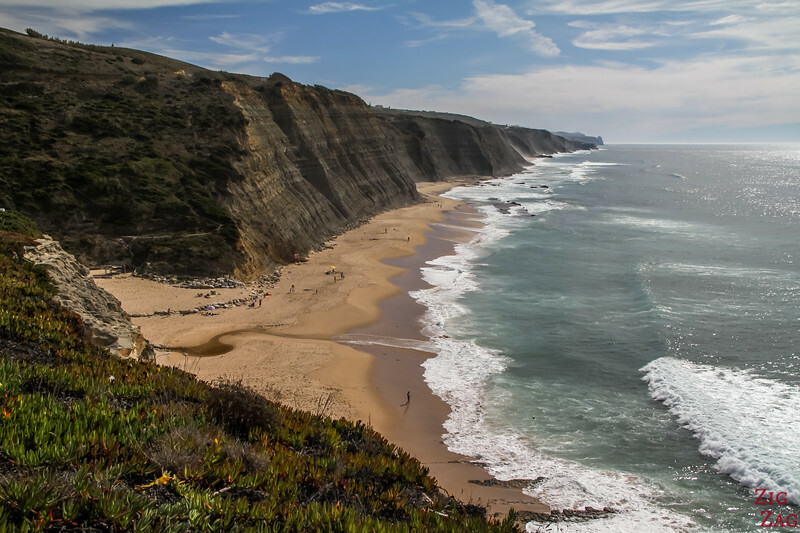 This cliff definitely makes it one of the most unique beaches in Portugal. In the Algarve Region, between Faro and Albufeira. Want more? Many photos and a video in the article dedicated to Falesia Beach Portugal. Praia dos Tres Irmaos is at the eastern tip of the Alvor sands. There you can explore and get to the bays nearby where you can find amazing formations including the famous double arche on the photo above. It is quite fun exploring them, especially at high tide when you have to play with the waves to get through. 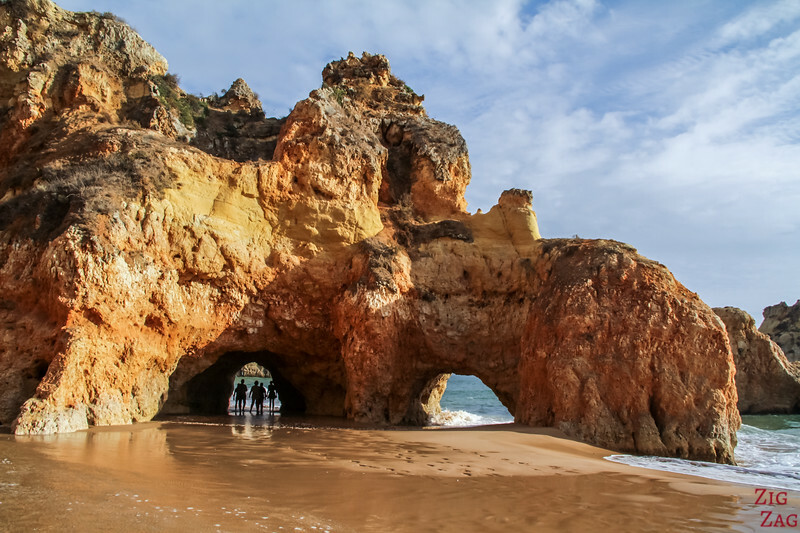 It is one of the most famous Algarve beaches and located just West of Portimao. Want more? 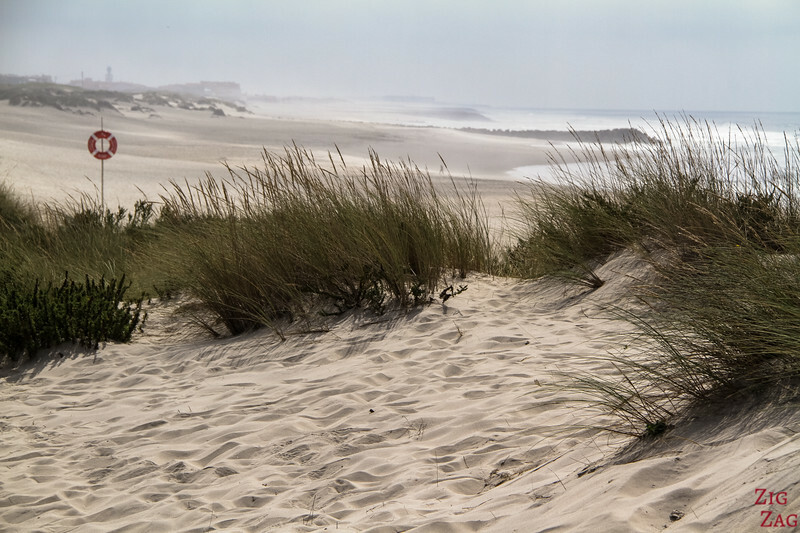 Many photos and a video in the article dedicated to Praia dos Tres Irmaos Beach Algarve. Porto Covo is actually a town with a series of small beaches with many different names. Each cove has beautiful dark stones, pools, golden sands and turquoise water. Big waves roll from the ocean. It is so easy to sit on one of the benches and get lost in their beauty for hours. Porto Covo is a small town in the Alentejo, on the West Coast of Portugal. If you avoid the Motorway, it is a great place to stop on your way between Lisbon and the Algarve. Marinha Beach is often ranked number 1 in many lists about the Best Portugal beaches. Some guides even consider it one of the most beautiful beaches in the world. It is famous for its stunning cliffs and the colors of the water (which is very clear). In the Algarve region, mid-way between Portimao and Albufeira, West of the famous Benagil Cave. Want more? 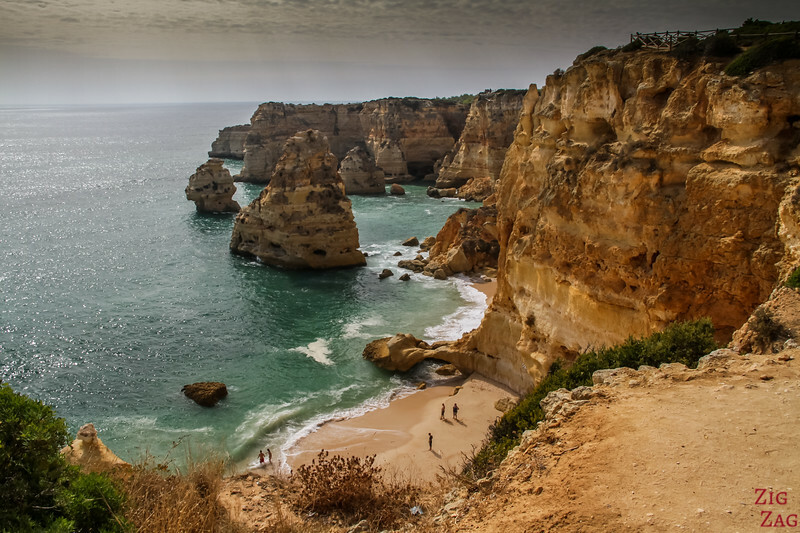 Many photos and a video in the article dedicated to Praia da Marinha Algarve. Another imposing cliff for my choice of #4 Best Portugal Beach. Turquoise color, Golden Sand and an epic cliff leading the eye to the South and Cabo da Roca. Also, from the parking, you get this awesome perspective! On the West Coast of Portugal, Magoito beach is located in the Sintra-Cascais Natural Park, West of Lisbon. Camilo is a series of small coves with amazing rock formations. The huge staircase is definitively worth it, but you can also admire from the top fo the cliffs. Even without the blue skye and the sunbeams reflecting the turquoise water, you can see in the photo above that there are intricate coves and rocks to explore. I normally don't pick large expanses of Sand but Odeceixce is quite unique. Located at the mouth of the river, it has created a large beach between the ocean and the lagoon/river. And the drive to get there, along the lush valley, is very enjoyable. However note that it gets very busy in summer with surfers. 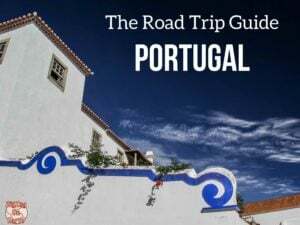 At the limit of the Algarve region, on the West Coast of Portugal, another great stop as you drive from the Algarve to Lisbon. The beach is surrounded by cliffs with colorful strates and has impressive sea stacks and rocky pools to explore at low tide. However note that it gets really crowded in Summer and during weekends. 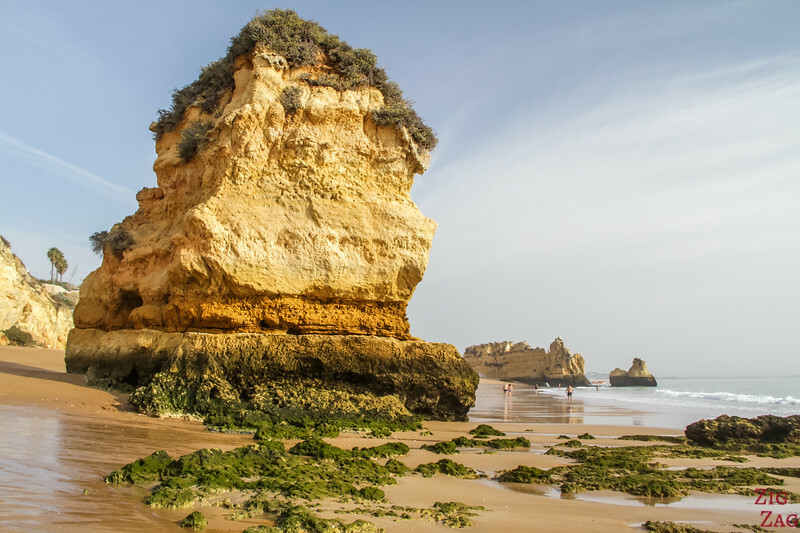 Dona Ana is the most famous of the Lagos beaches and an icon of the Algarve region. It is just South of the city center. 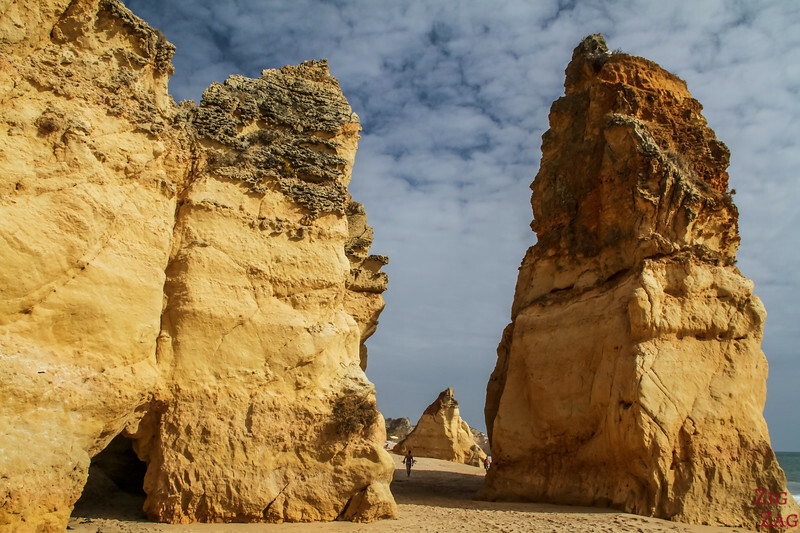 Discover it more in video and photos in the article dedicated to the Praia Dona Ana Algarve beach. Here is a very different type of beach. In the North of the country, lays the city of Aveiro, the 'Venice of Portugal'. Its beach is a long stretch of white sand with sand dunes and walking board providing great views. It is a beach with a unique atmosphere. On the West Coast of Portugal, South of Porto and west of Aveiro. 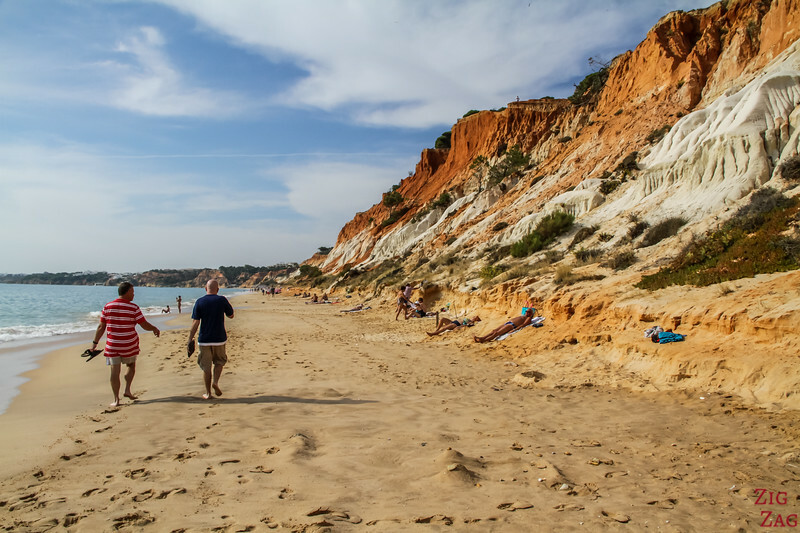 A long Promenade starts at praia da Rocha and lets you admire the golden sand and high cliffs of Tres Castelos Beach. But take time to walk down in order to realize the size of its cliffs and sea stacks. 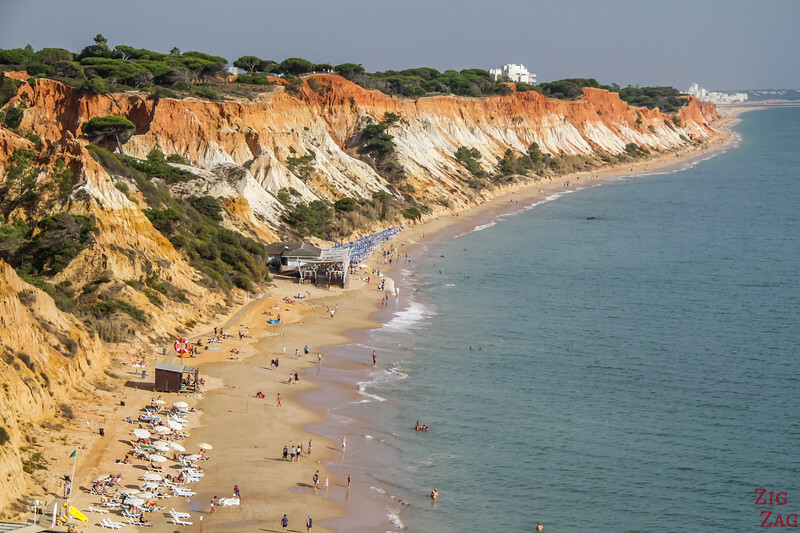 It is one of the most well-known beaches in Algarve, as it is located in the seaside resort of Portimao. Evaristo is quite different from the other beaches in Algarve. 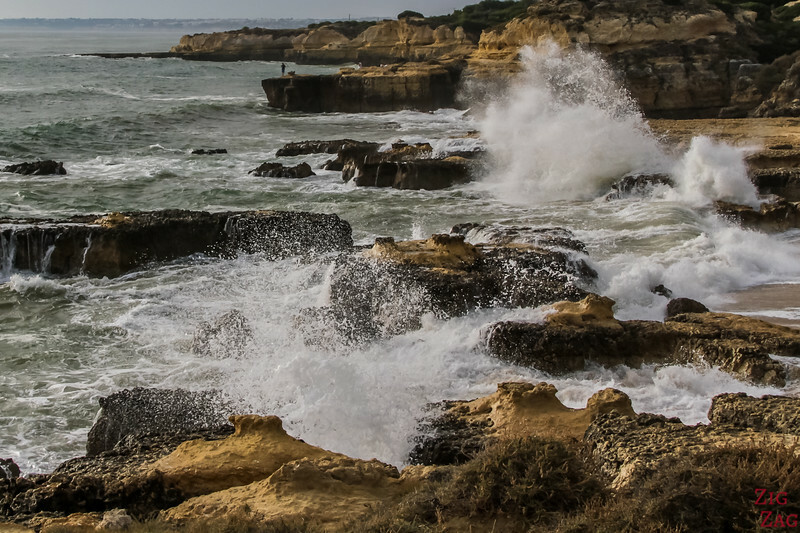 It is a great place to admire at high tide as the waves crash on the rocks providing a stunning show from Mother Nature. West of Albufeira on the Algarve coast. More photos and a video in the article dedicated to the Praia do Evaristo Beach. Gale does not have impressive cliffs like the others, but at its Eastern tip there are some beautiful rocks and small coves to explore. Thanks to its orientation it can be a good place to watch sunset. West of Albufeira, not far from Evaristo, in the Algarve region. Want more? 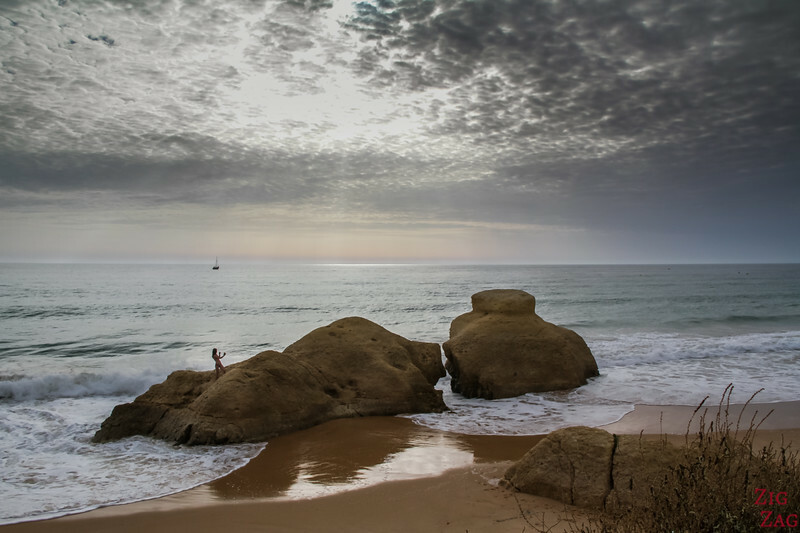 Many photos and a video in the article dedicated to Praia da Gale Beach Algarve. 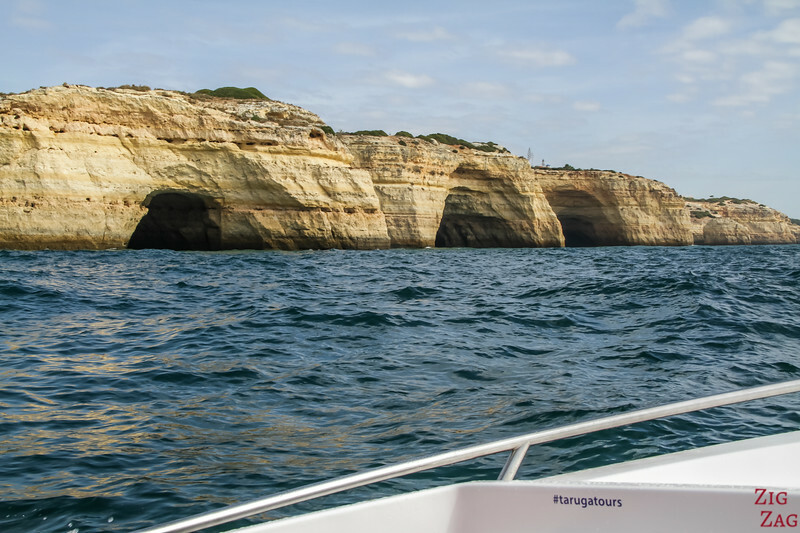 However one of the best way to see some of the best Algarve beaches is from the sea. You can join a boat tour to admire the amazing coastlines on the many Caves. It is an amazing experience. I loved it! And there are so many that it is impossible to keep count. 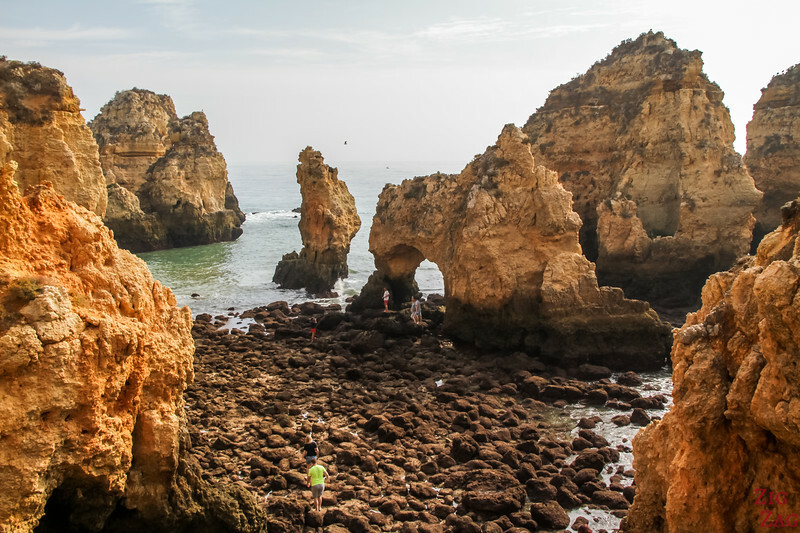 Algarve is the most famous coast in Portugal with 200km in the South of the country. Despite facing South, it is still the Altlantic ocean and not yet the Mediterranean sea! 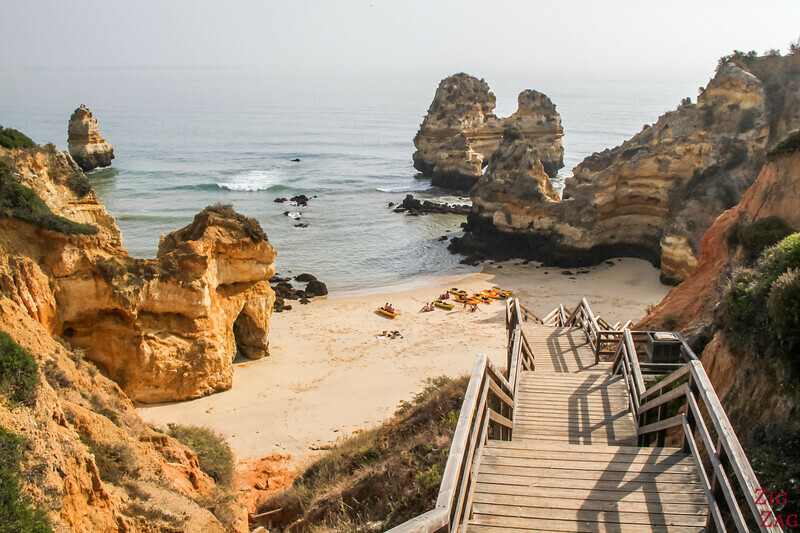 My absolute favorite point on the Portugal coastline is not a beach, so it is not listed above but it is fascinating to I am sharing it here: Ponta da piedade. It is a rugged promontory with many caves and featured shaped by the sea. And it is a perfect spot to watch sunset! 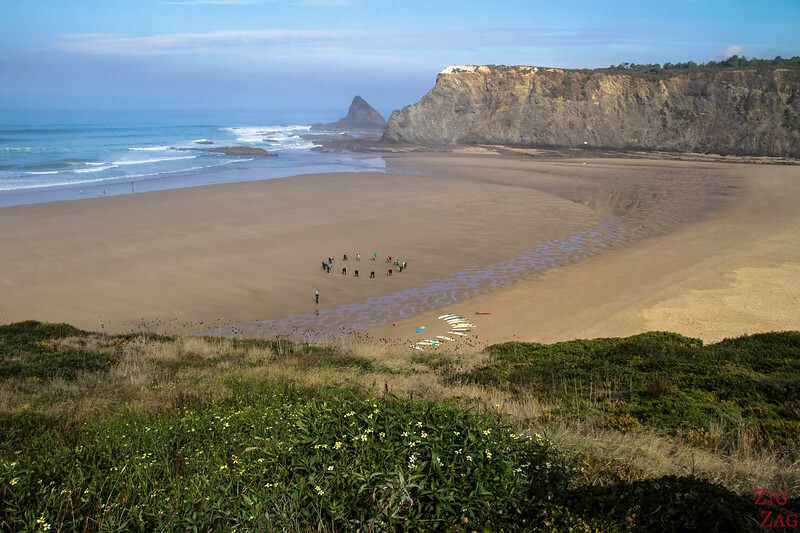 Inspired to discover the Portugal Beaches ?